Northern California's Bay Area Equestrian Club Veterinary Medicine Camp is an innovative five-day experience designed for young people grades four through twelve who are interested in veterinary medicine. WALNUT CREEK, Calif. - July 2, 2014 - PRLog -- Registration is now open for the one-of-a-kind Veterinary Medicine Camp, a five-day experience designed for young people grades four through twelve who are interested in veterinary medicine. Offered through the Bay Area Equestrian Club, a Walnut Creek nonprofit 501(c)(3) that provides equestrian-focused educational events, volunteer and community service opportunities, rescue horse programs, and leadership training for young people, the day-camp, which focuses on equine veterinary medicine, runs August 16-20, 2014. "The idea for BAE Vet Camp was to incorporate aspects of science, technology, engineering and mathematics (STEM) education into a fun and exciting week of interactive instruction, hands-on activities, and exclusive workshops focused on horses and veterinary medicine," says BAE Vet Camp Program Director Shanna Gage Lai, whose daughter Taylor Alyssa Lai, 12, founded BAE Club in 2012 and is a member of BAE Club's Jr. Board. "Young people who love horses will get hands-on instruction, working side-by-side with experts, about veterinary medicine. This is not a riding camp and you don't have to own a horse - this is a summer camp with an academic focus on the anatomy, physiology, health, and care of horses - perfect for the student who is thinking about becoming a vet." Vet Camp includes excursions to Borges Ranch, Seven Hills School science lab, Sherman Ranch (breeders of champion Arabians in Pleasanton), Bay Area Equestrian Club Stables, and the esteemed UC Davis Veterinary Medical Teaching Hospital, among others venues. 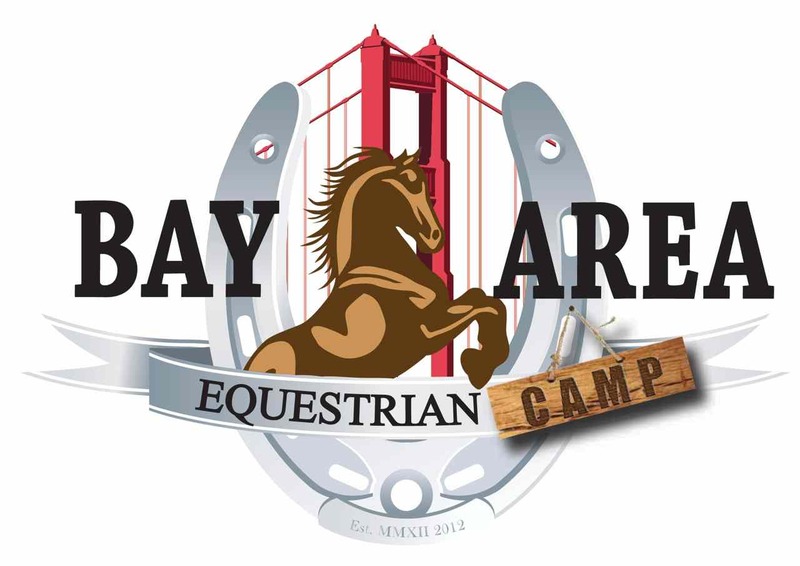 Noted veterinarian Jamie Textor, DVM, PhD, developed the BAE Vet Camp curriculum in collaboration with the BAE Club Jr. Board and will spend three days with the students, between the Bay Area Equestrian Club Stables and UC Davis. At Davis, Dr. Textor will offer an exclusive behind-the-scenes tour of the country's top ranked facility and will discuss equine anatomy, dentistry, and nutrition, as well as how young people can work with horses and what it takes to become a veterinarian. Students will view a live equine surgery, visit the pathology department, and view plastination exhibits (preserved equine body parts that reveal inner anatomical structures). BAE Vet Camp students can include their hours spent at camp on their academic résumés and college applications to veterinary schools, which require practical and clinical experience. Under the instruction of a host of expert mentors, including teachers, authors, vet med college students, avid equestrians, and even an architect, campers will construct an equine robot, launch a toy horse into space, build a model of their dream equestrian center or vet hospital, and learn how to turn manure into clean energy. They will meet and help rehabilitate BAE Club rescue horses, try their hand at driving a pony cart, and learn nature awareness through hiking, swimming, and yoga. For more information and to register for the camp, visit www.baeclub.org. Bay Area Equestrian Club, is a non-profit organization, open to all ages. BAE Club offers both a K-12 Youth Program (BAECYP) and an 18+ Adult Program (BAECAP). Bay Area Equestrian Club introduces and exposes Bay Area youth and adults to the joy of horses and equine veterinary medicine. No need to own a horse. In 2013, Bay Area Equestrian Club partnered with the Make A Wish Foundation of America to fulfill the equine-related wishes of Northern California children diagnosed with a life-threatening condition. BAE Club's Equine Access Program offers underprivileged youth access to horses and education in the field of veterinary medicine, and the club's Jr. Board's newest initiatives include an equine music therapy program and live equine visits via videoconferencing for homebound and hospitalized children. Bay Area Equestrian Club is committed to the health and safety of mistreated and abused horses, and provides ideal environments for rescue horses to grow and thrive. Students interested in veterinary medicine have the opportunity to gain exposure to a wide variety of medical conditions and procedures, while caring for rescue horses. BAE Club has partnered with Angels For Minis, a nonprofit that rescues miniature horses, and has signed on to serve as a foster stable for rescue horses. One hundred percent of proceeds from the BAE Club Tack Shop, located in The Spotted Cow, 2631 N. Main Street, Walnut Creek, go toward helping foster and rehabilitate rescue horses. Dr. Textor is an equine surgeon with her DVM from Colorado State University and PhD in platelet-rich plasma (PRP) in horses from UC Davis. She completed her residency in large animal surgery at Cornell University and became a Diplomate of the American College of Veterinary Surgeons in 2003. Dr. Textor has served as an equine surgeon and instructor at Massey University in New Zealand, Oregon State University, University of Sydney, and UC Davis. She has authored several publications in the scientific literature and has been an invited speaker at national and international meetings. In 2014, Dr. Textor opened Total Performance Equine Sports Medicine & Surgery, based in Martinez, CA, with the goal of providing specialist sports medicine and surgical expertise “stall-side” at the horse’s own barn.